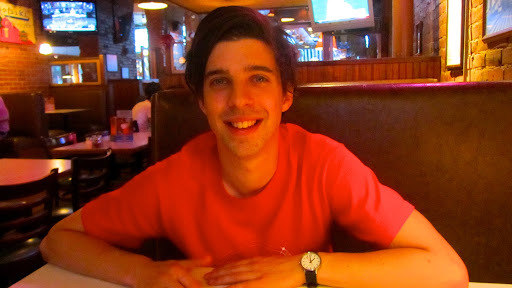 After a hard day of work and the gym today, Tom and I rewarded ourselves with dinner at Old Chicago. 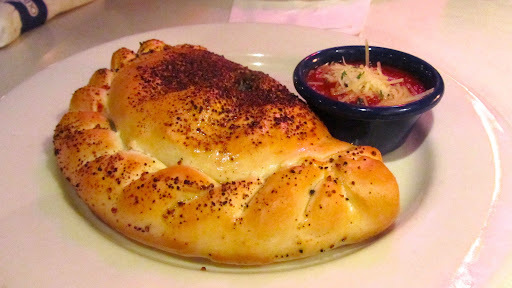 I had a vegetarian calzone which was really nice and not as sloppy as the last one I had. 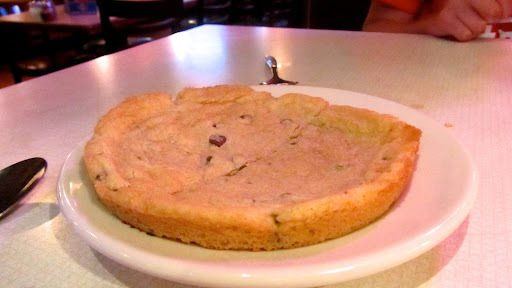 We shared the little big cookie for dessert afterwards which had been freshly baked in a pizza pan. 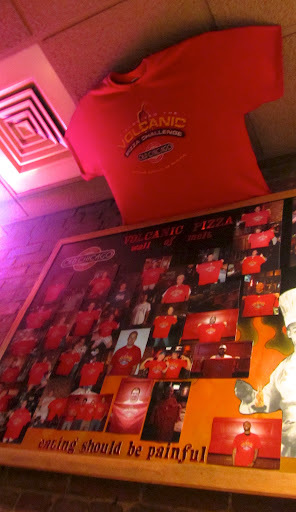 There was a wall of fame for customers who had survived eating the Volcanic Pizza. Someone next to us ordered it but we didn't hang around long enough to see if he survived. 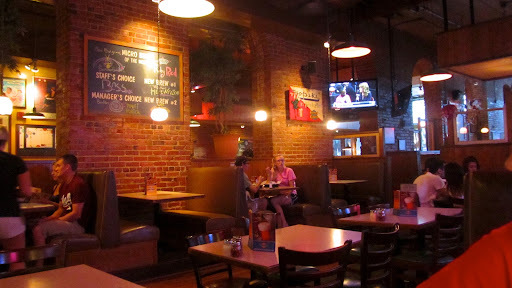 Afterwards we went for a snoop around City Limits which is a really cool shop in the Old Market. 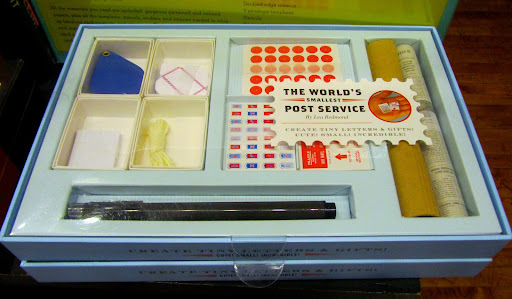 I really want this World's Tiniest Post Office kit. 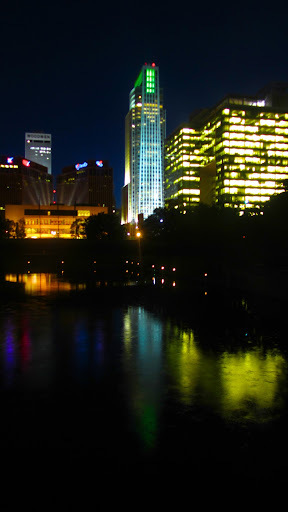 Danion Mead told us that we might get to see fireflies if we headed to the park after sunset, so we went on the hunt for them in the Heartland of America park. 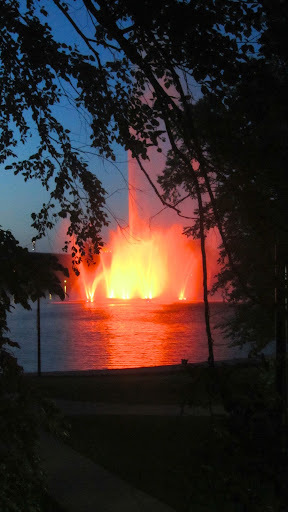 As soon as we got to the park, we spotted them under the trees and they were so pretty. 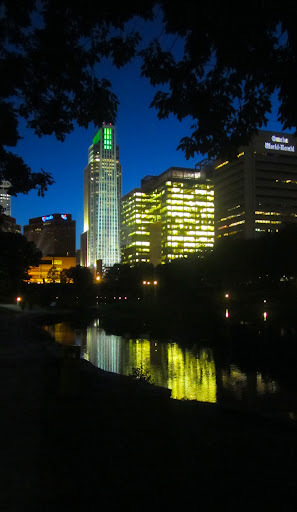 We then walked along to Gene Leahy Mall. There were lots of them near the water and a few other people were trying to take photos of them too.